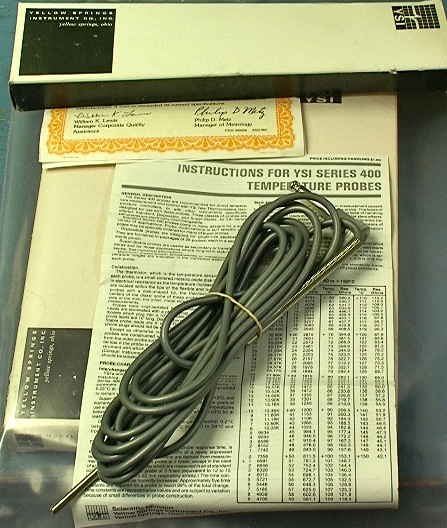 For sale is 1 Of 2 NIB YSI 403 Medical Temperature Probes. Cavlon Item # 3503. Raw weight is 0.5 lbs. Raw dimensions are 9*2.5*1. Up for sale is a 2 Sherwood Medical kangaroo 224 peristaltic metering feeding pump with battery backup. 300 ML/hr maximum setting. Cavlon Item # 2323. For sale is a ACUFEX Systems AutoShutter HR Model # 013775. Cavlon Item # 4048. Raw weight is 7.5 lbs. Raw dimensions are 17.5*12*3. Up for sale is a ANTEK 735 Controlled Rate Sample Syringe Drive Cavlon Item # 1861. For sale is a Bear Medical Systems NeoNatal Volume Monitor Parts Only Vintage Model # 1900. Cavlon Item # 4139. Raw weight is 6.5 lbs. Raw dimensions are 10*10*8"
For sale is a Bear Neonatal Volume Monitor 1900 Parts Unit. Cavlon Item # 4224. Raw weight is 6.5 lbs. Raw dimensions are 10*2*7. Up for sale is a Beckman AccuSpin FR Refrigerated Centrifuge. Cavlon Item # 2493. Up for sale is a Cryogenic Storage Unit Union Carbide 6K--just like you see on TV or Movies where they store/preserve tissue or sperm samples. Cavlon Item # 2282. Up for sale is a Dental Doctor tattoo piercing power patient chair SMR MAXI-III. Put your patients/customers where you want them. Cavlon Item # 168. For sale is a Eisenmann Incinerator RTO Regenerative Oxidation System Components. 32,000 cfm 8 million BTU 1500 degree F. Cavlon Item # 480.